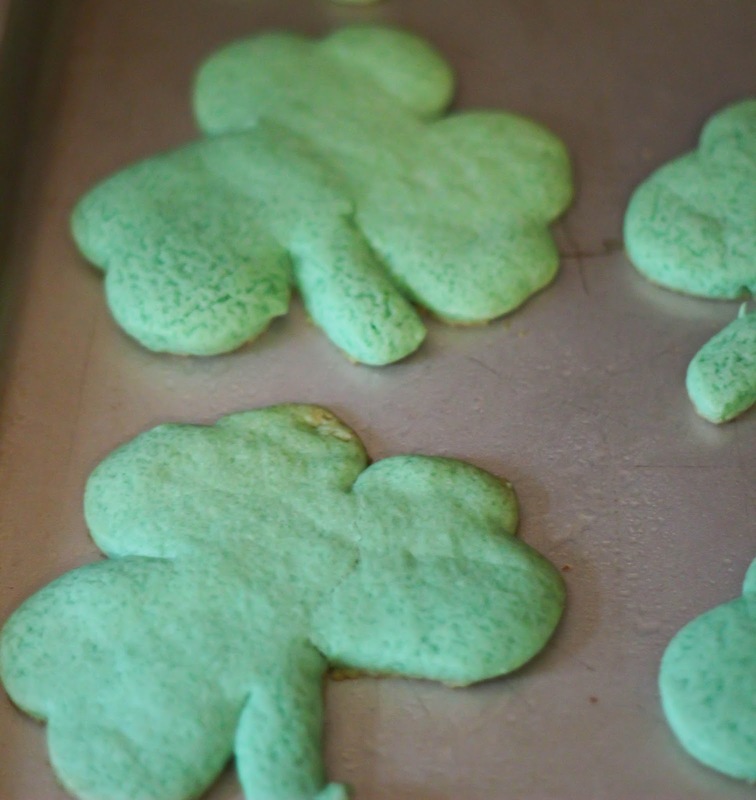 Irish Desserts: Delicious Shamrock Cookies to Celebrate St Patricks! St. Patrick’s Day is SO soon! Being that my hometown (Savannah) has the second largest St. Patrick’s Day celebration in the country I pretty much have to love the holiday and find ways to make this season special in our home. 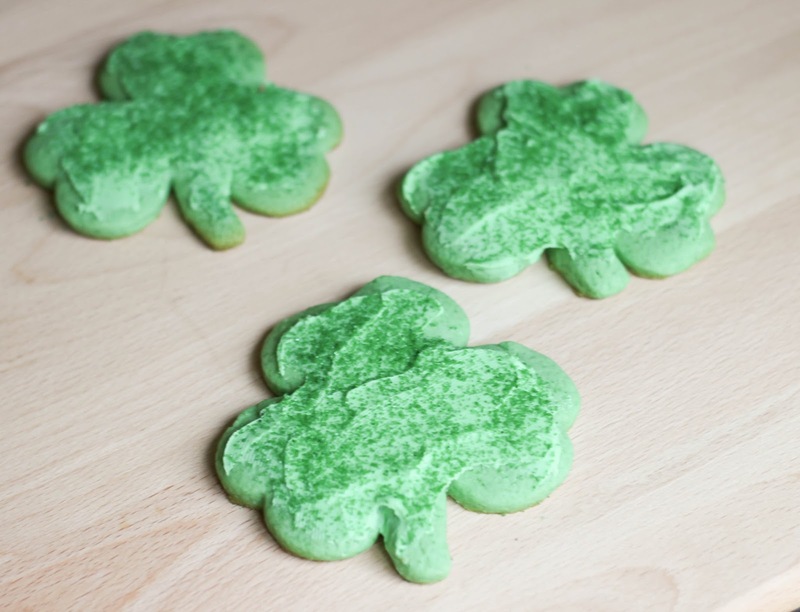 To help us get in the spirit I made my favorite cake cookie recipe, added some green food coloring, green frosting, green sugar and a shamrock cookie cutter and voila – shamrock cookies. 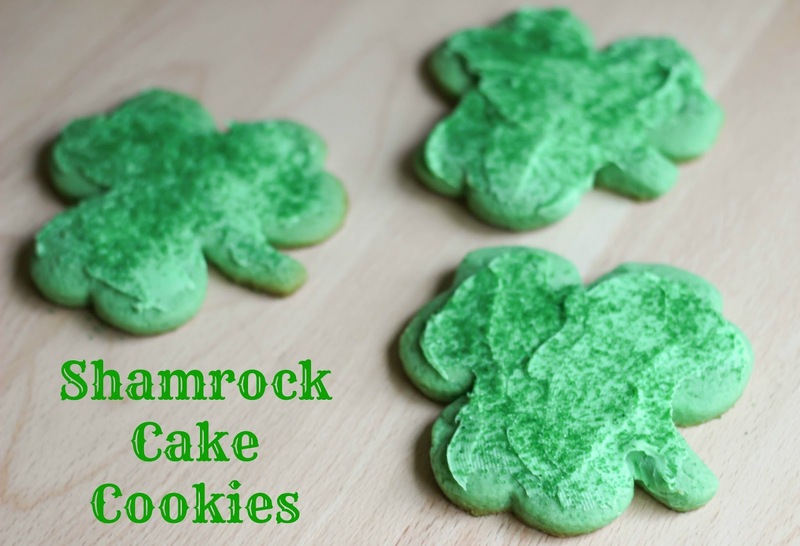 These seriously taste like the cake cookies you buy at the grocery store and are a great way to add a little luck o’ the Irish to your life! (2) Mix together your flour, baking soda and baking powder in a bowl. In a separate bowl or with a stand mixer cream together butter and sugar until smooth. Beat in the egg, vanilla and food coloring, and then slowly add in the dry ingredients. (3) Using a cookie roller roll out the dough and using cookie cutter cut out the shamrocks. (4) Bake 9-10 minutes until cookie bottoms are light brown. Allow to cool completely on wire racks. (5) Top cookies with icing and sugar sprinkles. Serve and enjoy! 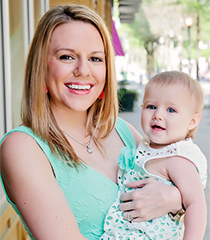 We are heading to Savannah for the weekend – will you be celebrating St. Patrick’s Day early this weekend? What are your favorite Irish desserts? I want to know! These look so delicious! I'm going to make these this weekend for sure! These cookies look delicious, perfect for St. Patrick's Day! So Yummy! I'm going to try and make these on Sunday with my little! Mmmm, I love cake cookies. These would be so cute to make for St. Patrick's Day. These bring back memories – my Mom used to make these every year. They are so simple yet so tasty! I am so excited for St. Patty's day! These cookies look absolutely delicious and so festive!